a soul mate, a friend, yourself, your own body, your family members, your life, your job, your environment....these are all things we are learning how to 'relate' to in healthy and conscious minded ways as we progress along our spiritual path. This will also be tailored to the needs of the group where possible. Soul Shine Wellness Centre, 101 Radley Road, Abingdon OX14 3PR. Message me with your interest on 07780.341343 or email [email protected] to book your place as numbers are limited. Thank you. Further course dates will be set in due course. This will be with Sherri Jemmett as your coach. BOOK EARLY AS PLACES ARE LIMITED!! Early-bird booking: £188 per person and £300 if you are a couple when booked by midnight on Monday 21st January. After that it goes back to the normal fee of £400 per person for the weekend. 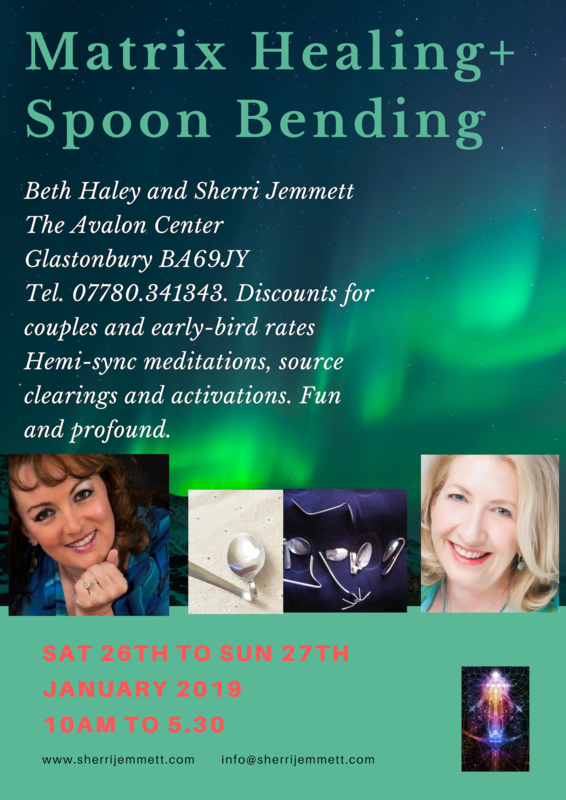 Course tutors: Beth Haley and Sherri Jemmett. We look forward to welcoming you there! We provide yummy wholesome snacks, (and the spoons!) including organic raw chocolate and beverages for break times. Lunch is not included but is within 3 mins walk to Glastonbury High Street full of great places to eat, including a vegan buffet place that is so fantastic and the food is cooked with love!